Are you looking for a studio? The Treehouse will be opening its doors shortly. Before we do, we’re inviting you to see what we’ve built so far and learn about what is yet to come. Join us for a casual tour of the grounds with drinks and music. 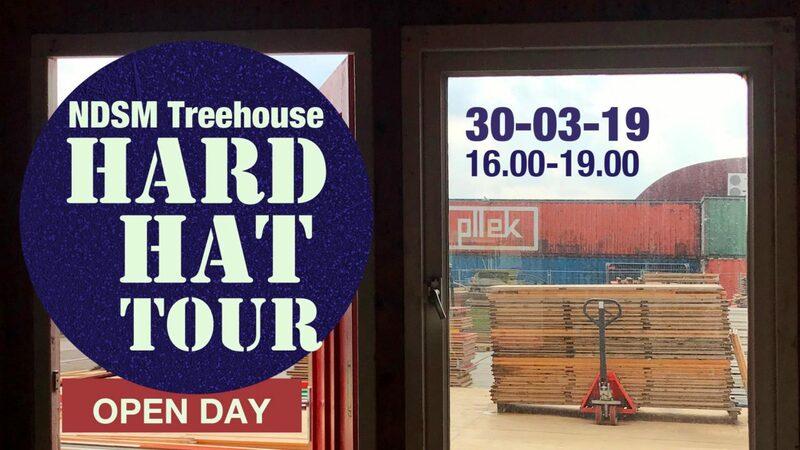 Treehouse organizers will be on hand to answer your questions and show you around. We’re looking forward to meeting you and getting to know you better. The NDSM Treehouse is a playground for serious artists who like to be fully engaged with their work. We offer a complex of one hundred private studios with communal event and project spaces. We’ve included several project spaces, music stages and other facilities customized for creatives. Are you an artist, musician, designer, or other creative type looking for a new space and lively community? Come soak up the atmosphere and introduce yourself to us.